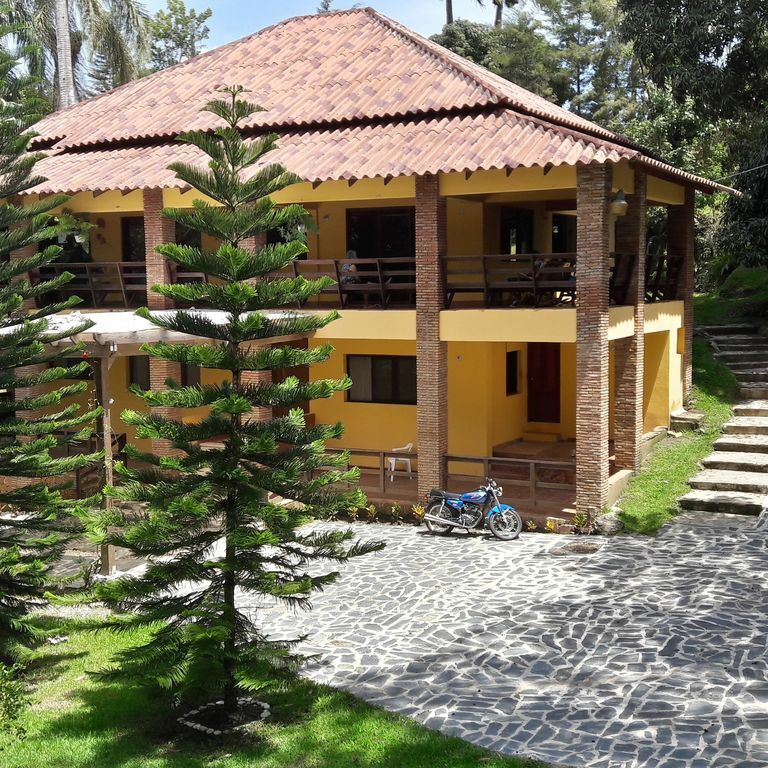 HERMOSA VILLA UBICADA EN UNO DE LOS LUGARES MAS HERMOSO DE JARABACOA, PIEDRA BLANCA DE SABANETA ,UBICADA A 15 MINUTOS DEL PUEBLO, APROXIMADAMENTE A CINCO MINUTOS DEL CAMPO DE GOLF, DEL RIO, SALTO DE JIMENOA Y LUGARES EXTRAORDINARIO DONDE PUEDES HACER ACTIVIDADES EXTREMAS COMO RAFTING, PARAPENTE, MONTAR CABALLOS ENTRE OTRAS ACTIVIDADES ,TIENE CERCA DE LA CASA UN EXCELENTE Y EXCLUSIVO CLUB EL CUAL INCLUYE RESTAURANTE Y PISCINA . LA CASA TIENE UNA AMPLIA TERRAZA, AMPLIA COCINA, ,TIENE UN AREA DE JACUZZI Y BBQ. CUATRO HABITACIONES ,TRES BANOS,AMPLIA SALA ,COMEDOR,AMPLIA COCINA EQUIPADA. UN LUGAR EXTRAORDINARIO DONDE PODRAS DISFRUTAR DE LA NATURALEZA Y EXCELENTE CLIMA CON TODA TU FAMILIA Y AMISTADES. JARABACOA DONDE SIEMPRE ES PRIMAVERA!!!!!!!!!!!! !